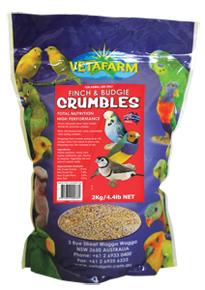 Vetafarm Parrot Breeder Pellets offer total nutrition for breeding parrots. These extruded pellet diet contains all of the essential nutrition that breeding birds require to enable them to lay fertile egg and rear healthy chick. Chicks in the nest will be fed the fortified diet by their parents, this means they will have all the nutrition necessary for strong healthy development. 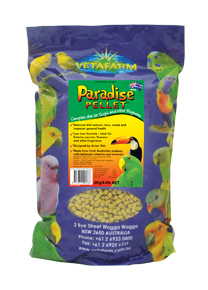 Parrot Breeder Pellets contains extra protein, vitamins and minerals to support reproduction. By using a balanced diet your birds become healthier and are much better equipped to deal with the rigors of sustained breeding. 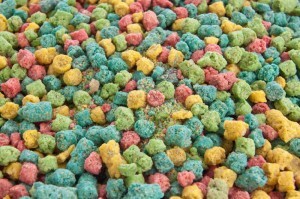 Total nutrition for breeding parrots. Extruded pellet diet containing all of the essential nutrition required for egg laying and chick rearing. Chicks in the nest will be fed the fortified diet by their parents; this means they will have all the nutrition necessary for strong healthy development. Breeding birds require extra nutrition to enable them to lay fertile eggs and rear healthy chicks. 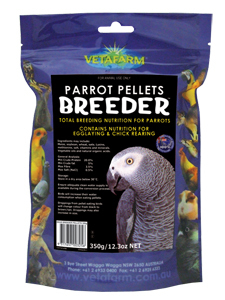 Parrot Breeder Pellets contains extra protein, vitamins and minerals to support reproduction. By using a balanced diet your birds become healthier and are much better equipped to deal with the rigors of sustained breeding. Chicks raised by parents being fed on breeder pellets will wean directly on to maintenance diet pellets. Key Features: Includes balanced vitamins, minerals, calcium and amino acids crucial for breeding birds producing eggs and for healthy development of young birds. Includes appropriate levels of fat and protein to meet the high nutritional demands of breeding. Chicks raised by parents being fed Breeder Pellets will wean directly onto Maintenance Pellets. Can be used with: Maintenance Pellets. Maintenance Pellets should be fed during the regular season with birds being changed over to Breeder Pellets around 6 weeks before breeding season and being fed on this diet up until chicks fledge. 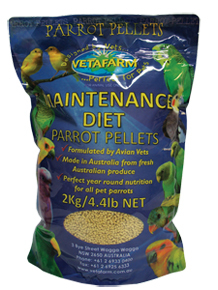 Recommended for breeding Australian and Asiatic Parrots, also suitable for Exotic Breeding Parrots (e.g. South American Parrots).